Point Loma, not only a great place to live, but a great place to visit too! Point Loma is a hilly peninsula bordered on the west and south by the Pacific Ocean, on the east by the San Diego Bay and by the San Diego River to the north. 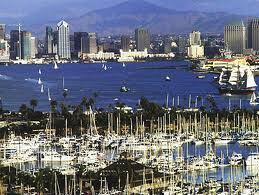 Point Loma separates San Diego Bay from the Pacific Ocean along with the Coronado peninsula.